The sampling of images on this page illustrates the functionality and ease-of-use of our 1098-T solution. Remember, our processing services are web-based, so you don’t have to purchase, install or learn any new software. What could be easier? 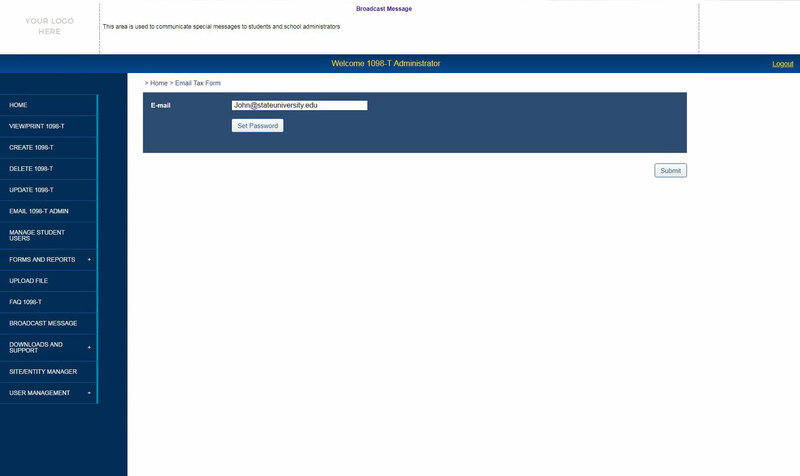 School admins have access to a comprehensive, easy-to-use dashboard. 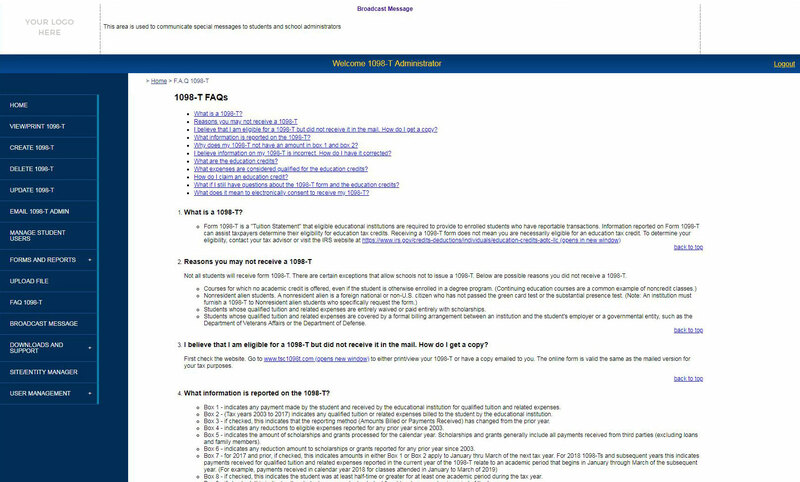 View a list of FAQ's to easily respond to common student questions. 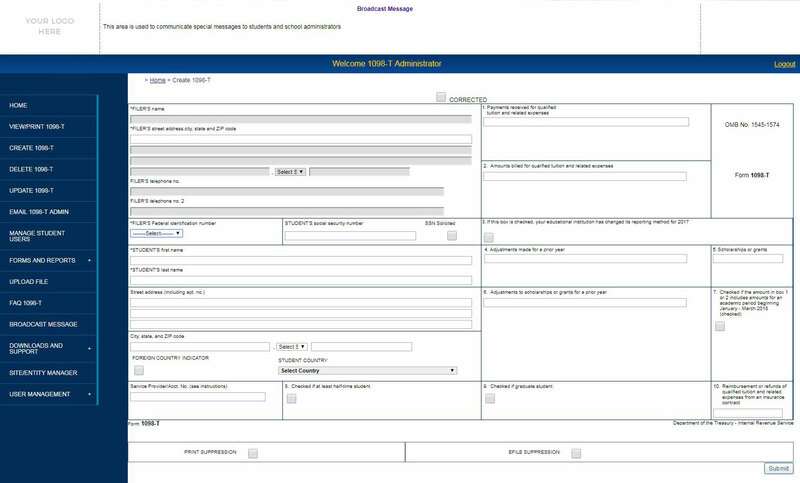 Create custom reports on the fly with our extensive database. 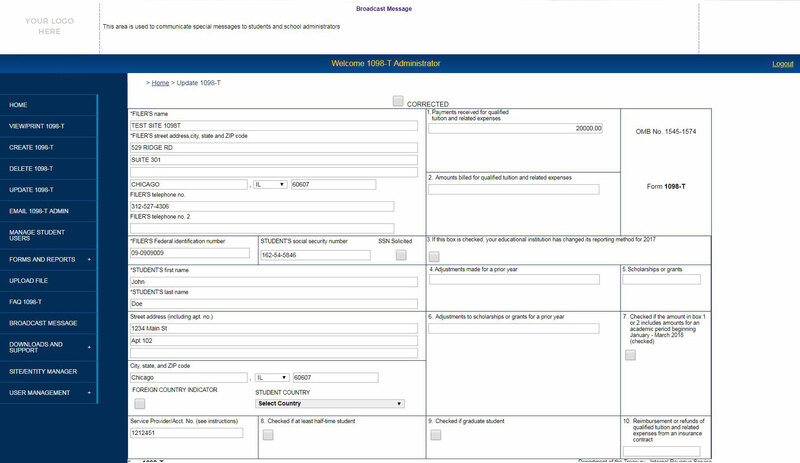 School admins can easily and quickly create one-off reports for students. 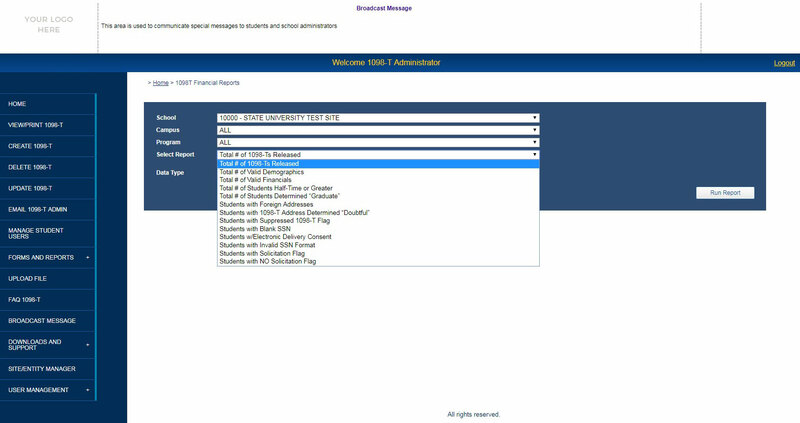 Effortlessly search for existing forms to update student info. 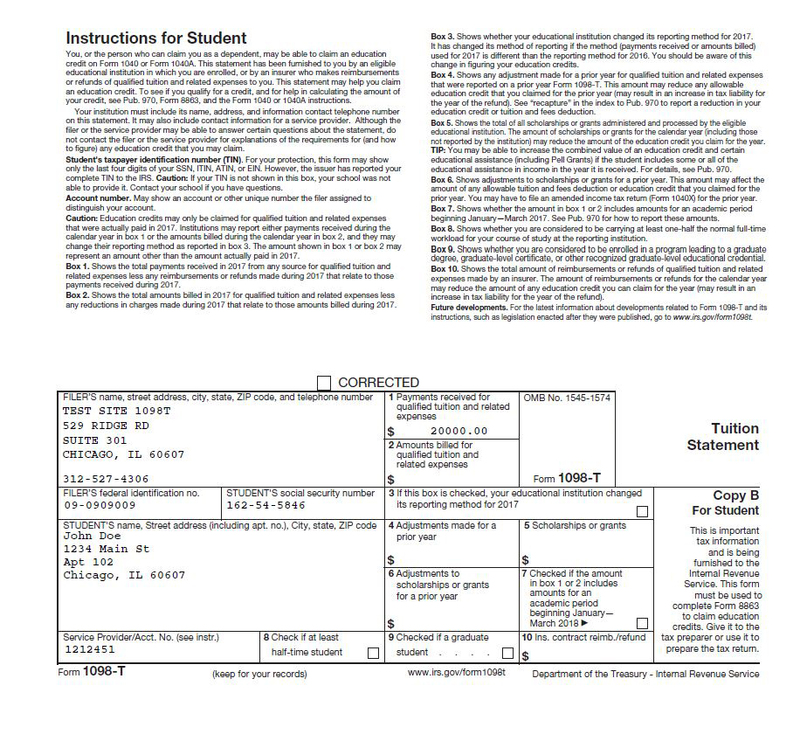 Directly email students their 1098-T form with a sense of security, since we mask their SSN and password. 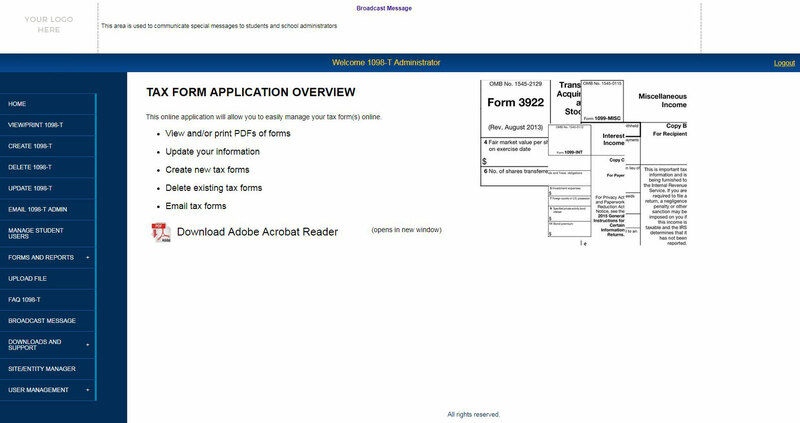 Students can download their 1098-T forms with the click of a button.